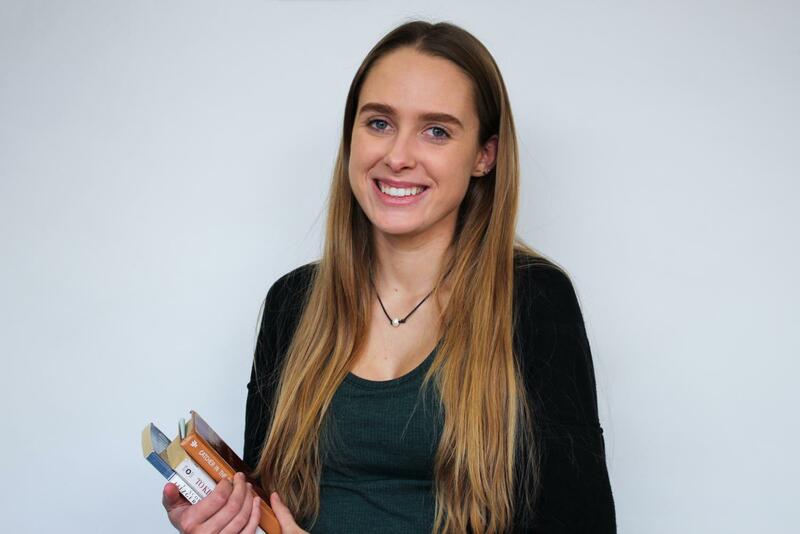 As one of the five valedictorians of BSM, Abby has made her mark by taking part in many diverse activities and showcasing a passion for learning and a commitment to all she does. Although Abby’s list of activities is long––she’s participated in technical theater, RKVC, and Link Crew and has served as Knight Errant Editor-in-Chief and President of National History Honors Society––one of the most influential activities has been her participation in theater. She has done lighting for 16 different shows, including the Fall Play, the One-Act Play, the Spring Musical, and the Junior High Musical. “It’s a great experience to have, and its shaped my high school experience because I never thought I’d be involved in theater, and I ending up being the most involved,” Abby said. The Knight Errant has also been an integral part of Abby’s high school years. This year, she served as Editor-in-Chief for the Knight Errant. This experience has shaped her career goals, and although she is not planning on majoring in journalism, she is considering pursuing it after college. As well as being her most influential class, Editorial Leadership is also her most difficult. “Knight Errant has a lot of problems that don’t have one good solution. It’s less like struggling through a math problem that has a definite answer, but fixing semi-real world issue, which makes it the most difficult,” Abby said. Abby is attending Northwestern University next year, but is currently undecided as to what her major will be. In the meantime, she has focused on other, even more important pursuits. “In my senior year, I’ve really focused on my jacket game. I feel like I’m wearing some great jackets and I want everyone to appreciate it because jackets are very underappreciated and they can really make an outfit,” Abby said. 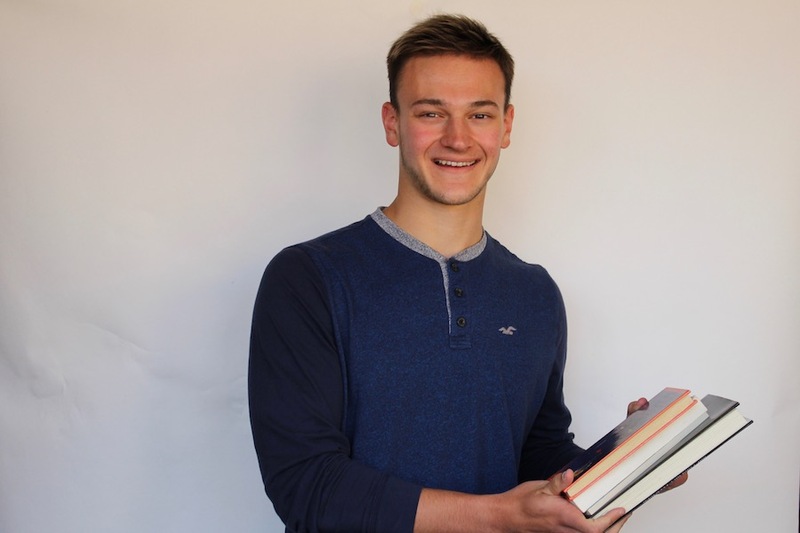 Ryan Frost is one of the ve valedictorians this year. As the captain of the BSM tennis team, a member of the National Honors Society, and one of the most diligent students in class, Ryan finished his high school career with a cumulative GPA of 4.0. Since arriving in ninth grade at BSM, Ryan has been heavily involved in the Red Knight community. “I’ve done boys’ tennis, RKVC, math league, ping pong, Knight Life, and many more,” Ryan said. Among all, however, Ryan has been most influenced by his role on the tennis team. Ryan has been playing tennis for seven years, which has been a huge part of his life. His captaincy has motivated him to be a leader on and o the court. The lessons Ryan learned from tennis have also helped him with academics as well. “Tennis is an individual sport which requires an intensive mental drive to stay focused. It is kind of the same thing when I’m trying to grind through homework and tests and force yourself to stay at it and keep going,” Ryan said. His heavy involvement in sports, clubs, and other extracurricular activities hasn’t interrupted him from his academics. “Sometimes, it is hard to make time to do homework, and tennis takes up a lot of weekends, but overall, I’ve been able to finish all of my work,” Ryan said. Ryan will be attending University of Notre Dame next year where he will major in engineering while integrating business sides of studies as well. After college, Ryan is planning to explore the consulting industry. After nearly four years of high school, maintaining a perfect GPA may seem like a fantasy to some, but Lauren Copland did what others considered impossible and earned the title of valedictorian along with a few others from the class of 2018. With the difficult journey nearing its end, Lauren finally has a chance to reflect upon the challenges she had to overcome. For the most part, Lauren’s classes didn’t pose much of a threat to her grades. “It wasn’t overly hard, but going into finals and knowing that it could make or break my grade was very stressful,” Lauren said. However, she did admit that Precalculus, AP Calculus AB, and Physics proved to be a challenge at times. Tough classes weren’t the only thing that stood in Lauren’s way of a perfect GPA. She was an active member of BSM’s ski team and one-time participant on the soccer team. “I missed a lot of school for all my races. I had to leave early for a bunch of races, so I definitely didn’t have a lot of time to do all my homework,” Lauren said. But Lauren managed to nd a way around her lack of homework time with some simple good work ethic. “I used all of my free period time and passing time to do as much homework as I could, so I wouldn’t have any work to do after school,” Lauren said. Lauren attributed much of her success in school to her dedication to time management. With college on the horizon, Lauren is unsure if her stellar GPA will carry over. “I kinda want to get a feel for the college before I try to get a 4.0; I just want to do my best,” Lauren said. As Lauren enjoys her last few days roaming BSM’s hallways, she had a few words of advice for other students striving for that elusive 4.0. “Don’t procrastinate and remember to never turn in homework late,” Lauren said. 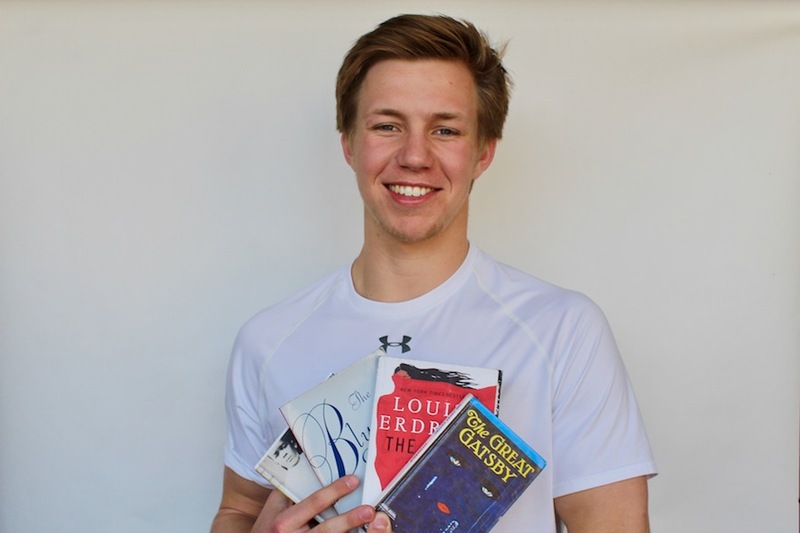 During his four years at BSM, valedictorian Ben Larson has been heavily involved in school extracurriculars and volunteering that he does on a weekly basis. “I’ve done speech, mock trial, debate, NHS, NHHS, Link Crew, RKVC, student council, math league, Knowledge Bowl, and I volunteer at Southdale Hospital every Sunday,” Larson said. While each aspect of his involvement has helped him learn and grow as a person throughout high school, mock trial stood out to Ben. “Mock trial was probably the most influential activity for me because I had a leadership role being a captain for junior and senior year. It was a lot of work, but I got much better at public speaking,” Ben said. Although his academic success is extraordinary, Ben had a couple of close calls with his GPA, but for different reasons. Honors English 9 was the first big challenge. “It was a pretty abrupt change from middle school to high school and [Honors English 9] was hard to keep up with, especially at first,” Ben said. Second semester sophomore year was also a struggle, mainly because of motivational difficulties. “At the time, I was losing motivation and I had to do a lot more catching up,” Ben said. Still, he got through every test that came his way, and has important advice for younger high schoolers. “Do everything you can to reach realistic goals, and feel good about your accomplishments,” Ben said. Ben will be taking his talents to the University of Wisconsin-Madison next fall, where he plans to study mechanical engineering. He’s open-minded, however, as he’s also interested in business. “We’ll see what happens,” Ben said. 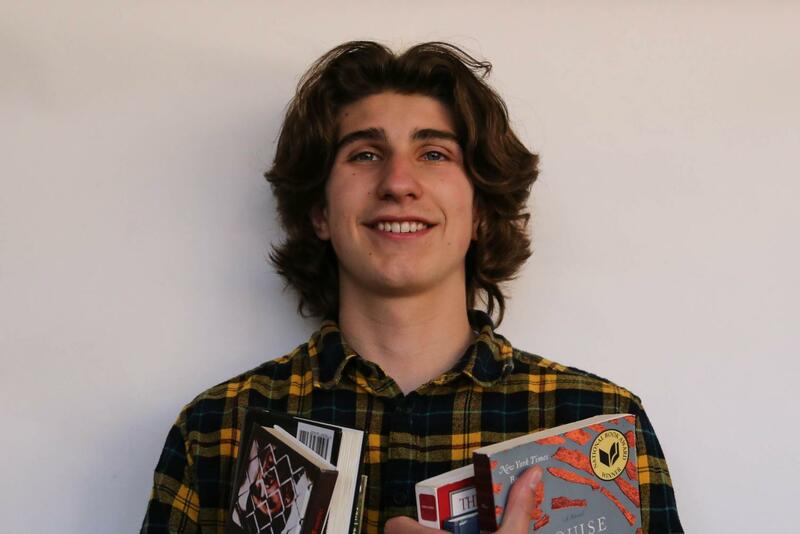 While at BSM, senior and valedictorian of the class of 2018 Santi Lambert managed to maintain his perfect 4.0 GPA, even while taking a rigorous and diverse course load and participating in a multitude of activities. He was a captain of the BSM varsity soccer and table tennis teams and also took part in math league, chess club, RKVC, NHS, and more. His time on the soccer eld had the most direct effect on his ability to stay focused and motivated throughout his time in high school. “I learned [from playing soccer] that there are some things that you can’t control and that the only thing you can control is your e ort. I used that lesson a lot in school,” Santi said. And that’s one lesson he’d like to pass o onto his upcoming classmates. “Just work your hardest, and you won’t have any regrets. If you worked your hardest, but you didn’t get an A in the class, you don’t have to feel bad about it because you did your best,” Santi said. Even though he never failed to pull o an A at the end of the semester, there were certainly a few times when Santi came close to losing the perfect GPA. Sophomore year, he had a C+ in a class almost halfway through the semester and he feared that that would be the end of the 4.0, but fortunately, he managed to utilize extra credit and work back up to an A. “I had to work really hard to get it up,” Santi said. This fall, Santi will be heading o to the University of Wisconsin–Madison where he plans on continuing his educational success in the field of engineering. in the BSM community. 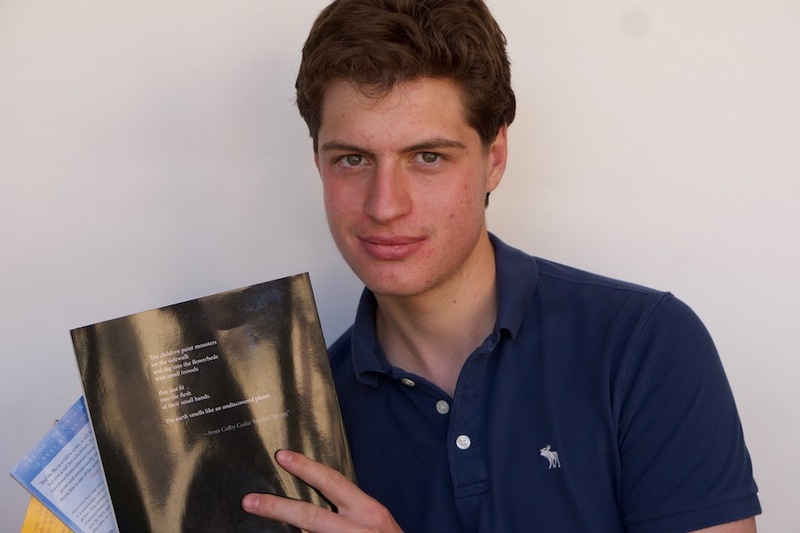 While at BSM, Ian developed a strong interest in politics. In 2036, Ian Black plans to run for president, but for now, he’s an ambitious high schooler with political aspirations. Ian is currently a member of the Golden Valley Planning Commission, a city commission that manages building projects. “We review zoning codes, plan developments, and we created a comprehensive plan of what we want our city to be in 20 years, so that was pretty cool. We had a proposal to expand Meadowbrook Middle School. That makes a big difference. We added eight classrooms; that’s a lot of kids lives that get changed,” Ian said. one day, specifically as a state legislator. “A lot of things get done at the state level, and feel like it’s a good way to make change in society,” Ian said. At BSM, Ian became an avid skier. “I was a captain and really involved in the sport, I did it for five years and it really made a difference for me,” Ian said. Ian almost got a 4.0 GPA, if it wasn’t for Honors English 9. “Do you understand ‘A Tale of Two Cities?’ Because I still don’t understand ‘A Tale of Two Cities,’” Ian said. Next year, Ian will double major in accounting and political science at Boston College. Ian doesn’t plan to pursue a 4.0 GPA. “It’s hard. It adds stress. I don’t want to take a hard class because I won’t get an A. I want a good GPA, but not a 4.0 for the sake of it,” Ian said. impressive accomplishments. Not only is Quinn one of only four salutatorians in the class of 2018, but he is also a two year lacrosse captain, executive president of the student council, link crew commissioner, and Flyer’s captain. Achieving a 3.99 GPA is something that Quinn has worked extremely hard for and is very proud of. “I am happy with how my high school academic career ended up. It was good to see all of my hard work pay off,” Quinn said. The only class the Quinn was not able to get an A in was the second semester of Ms. Brew’s Honors English 9 class. Quinn finished the semester with a 93% coming up just a few points short of the 94% that he needed to get an A. 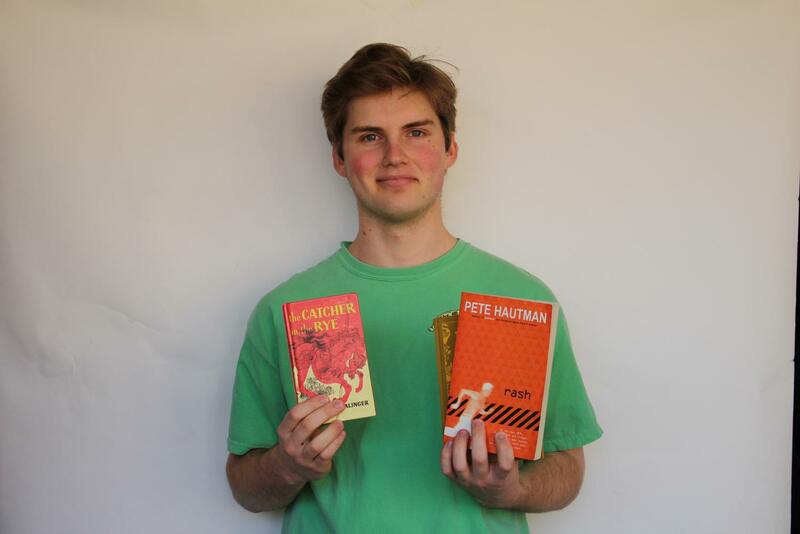 “While getting an A- certainly was not ideal, I do think it helped me in the long run because it told me that I had to improve my writing skills,” Quinn said. If Quinn were to give a tip to younger students who wish to imitate his success, he would tell them to do as much of their homework during the school day as they can and to utilize their free hour so they do not have to spend much time on homework at home. 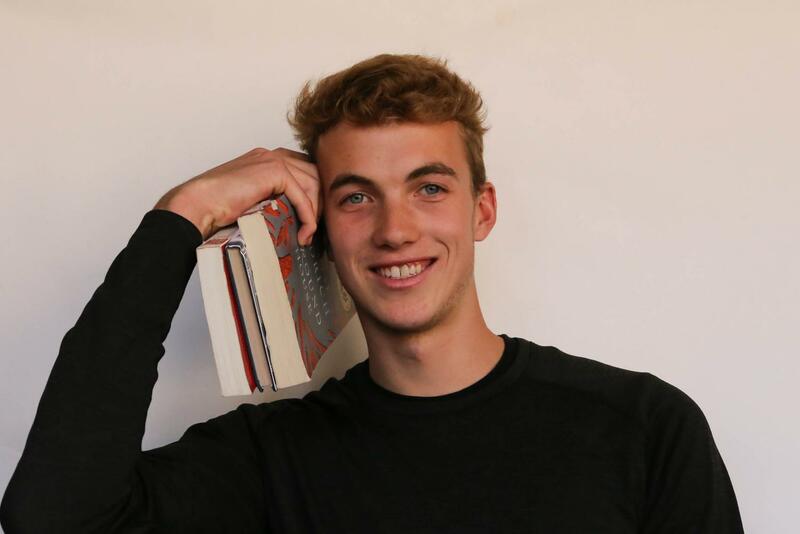 Quinn hopes to outdo his stellar high school academic performance next year while he is attending the Carlson Business School at the University of Minnesota. “The A- I got my freshman year was very unfortunate and I hope that I will be able to pull off a 4.0 in college,” Quinn said. Throughout high school, Michael has been many involved in many activities including student council——where he was Vice President of the Class of 2018 for all four years, a captain for varsity tennis and swimming, NHS, Math League, Link Crew and RKVC, and the Sports Editor and Online Managing Editor for the Knight Errant. “[Swimming] taught me to not be afraid of change and trying new things. I also ended up being pretty successful and went to State all three years, which was a bonus,” Michael said. Michael’s motivation in the classroom began with the motivation of doing better than his older brother, who was a valedictorian. After getting a 4.0 GPA freshman year, Michael also made it his goal to be a salutatorian or valedictorian. “A lot of classes I had to grind through and do well on the final to secure the A. It’s not something I just wake up and get, I have to work for it,” Michael said. The hardest class for Michael turned out to be the class he lost his 4.0 in. He unfortunately finished his Junior year Honors Chemistry class with an A-. “I knew when I got a C- on the first test that it was going to be tough to get an A. It is what it is. I was bummed, but at the same time all I could do was move on and work harder. I don’t blame it on the teacher or anything, there were certain things I could have done differently but in the end it turned out alright,” Michael said. Next year, Michael will be attending the University of Kentucky where he is in the Lewis Honors College at the Gatton School of Business. On top of that, he is enrolled in a program at the University of Kentucky called The Social Enterprise Scholars Pathway, which is a unique business program that focuses on creating business models for companies that help give back to society. He still plans on pushing for a 4.0 in college. “I realize it will be a lot harder than it was in high school, but I don’t know why I wouldn’t shoot for the stars. I think it sets a good goal to keep me working hard and aim for,” Michael said. Senior Anna Keller is one of the four that was honored with being a BSM salutatorian. To be a salutatorian Keller had to maintain a 3.99 GPA. Anna is unlike our other three salutatorians and our five valedictorians because this school year is her first year at BSM. After moving from Fort Worth, Texas, Keller still managed to keep her outstanding GPA. 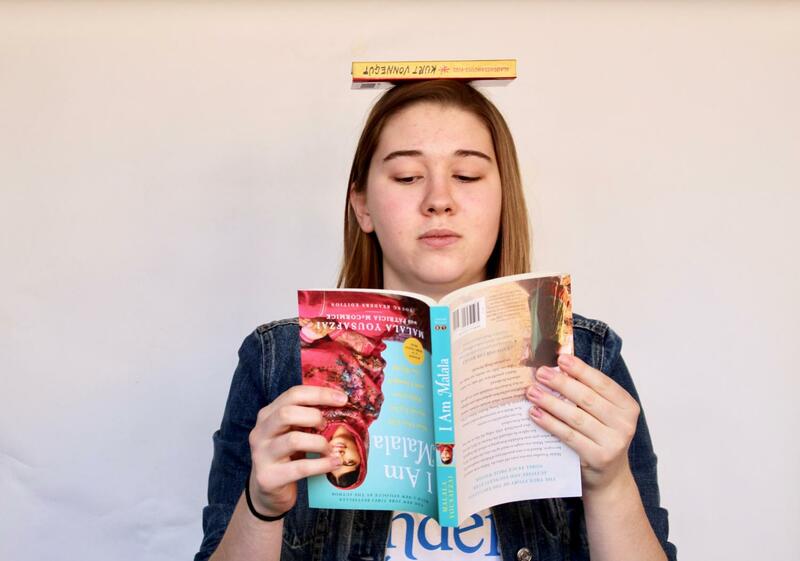 “It was actually kind of easy because I didn’t do many activities at the beginning of the year so I really only had school to focus on,” Anna said. At her old school, Anna participated in National Honors Society, Spanish Honors Society, soccer, track, and was a student ambassador. Being an ambassador for Nolan Catholic High School was the most influential activity she participated in throughout high school. “It really taught me how to show people the best parts of your school and how a person’s experience with an ambassador can influence their decision to go there,” Anna said. Anna spent most of her first semester at BSM getting used to the workload, students, and teachers, which made it her hardest semester here. Though, overall, her sophomore APUSH class was the hardest class she took. “It was a lot of studying outside of school which I wasn’t used to along with teaching yourself the material outside of school,” Anna said. Sophomore year was also the year that Anna lost her perfect 4.0 GPA in Physics. She was not very upset to get the A-, as she would have loved to keep her perfect GPA. 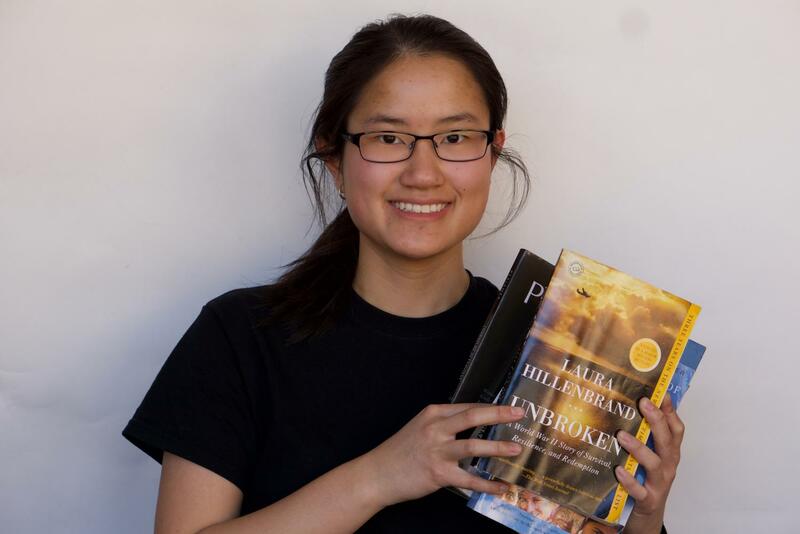 “I worked hard in the class, but it was really challenging for me,” Anna said. Anna is attending Villanova University in the fall, where she plans on studying communications while getting a minor in Spanish. She also hopes to study abroad in London or Spain sometime throughout her college career.